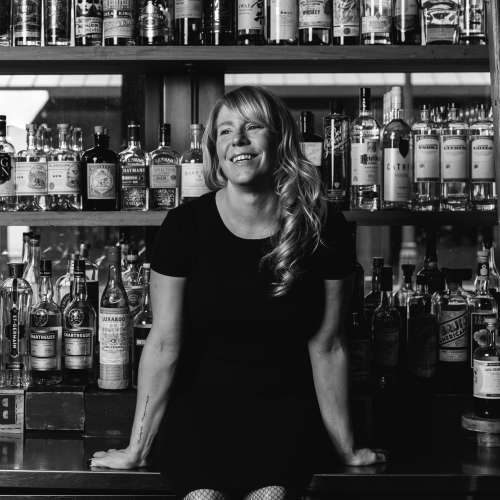 Kellie Thorn has been in the restaurant industry for over eighteen years and tending bar for the last fourteen. Kellie, born in Atlanta and raised in various cities along the Southern coast, has received considerable critical recognition for her talents and skills. In 2010, Kellie joined forces with star chef Hugh Acheson to open Empire State South, Acheson’s vibrant reimagination of traditional southern fare, to develop a creative program balanced by a reverent nod to the classics. Her success in this role led her to the position of Beverage Director for Acheson’s restaurants in 2013. In 2015, Kellie participated in and passed the reputed BAR Five Day program in New York, in 2017 she was awarded the Les Dames D’Escoffier Legacy Award, and in 2018 she was named one of Wine Enthusiasts 40 under 40 Tastemakers. Kellie is very involved in her local community as well as the broader hospitality community, which includes serving on the Advisory Council for Atlanta Food and Wine, helping to organize annual charity events for Wholesome Wave Georgia and Community Farmer’s Market, and serving on the inaugural Grants Committee for the Tales of the Cocktail Foundation. Kellie is also a BNIC Certified Cognac Educator, passing the certification in Cognac, France in April 2015, as well as a WSET Certified Level Two Spirits Educator. When out from behind the bar, Kellie enjoys kickboxing, traveling, cooking, dance parties and spending time with her son Finnian.